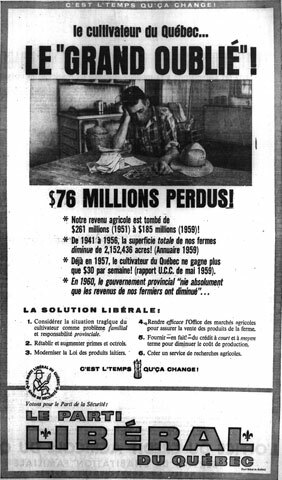 Liberal Party advertising deploring the plight of farmers under the government of the Union nationale during the election campaign of 1960. The sign reads as follows: Farmers in Quebec… The forgotten ones! 76 million strong! "It is the duty of the government of this province to assess what we possess... in order to develop it so that Quebec may benefit from it on a permanent basis and flourish in the direction of its traditions, spirit and culture" (translation). 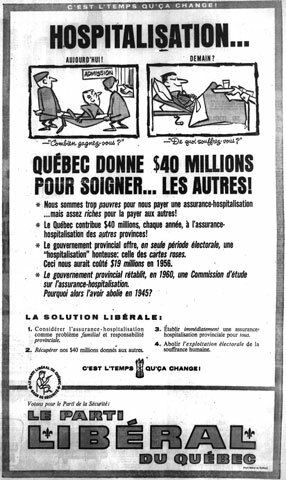 Jean Lesage in1960 and the political program of the Liberal Party of Quebec, p. 5. "It's time for change!" (translation). Such was the slogan of the Liberal Party during the 1960 campaign. First, it expressed the exasperation felt towards the authoritarian government of the Union nationale, in power for the last 15 years. Secondly, it bore witness to the need for change and renewal, words to which the highly conservative leader of the Union nationale, Maurice Duplessis, was allergic. 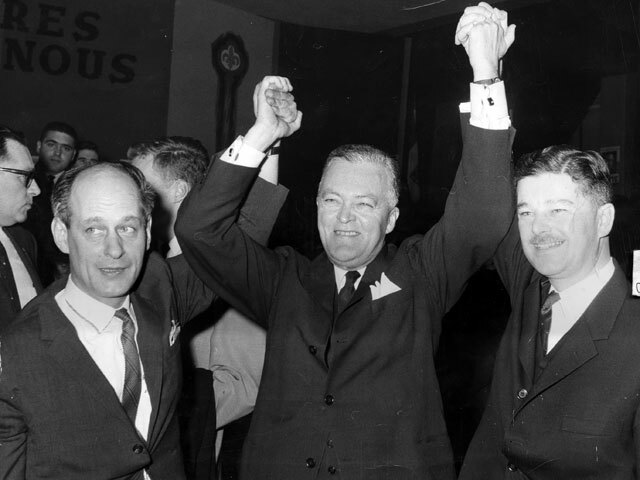 Even during the 1950s, when society in Quebec had been in the throes of industrialization and urbanization for several decades, Duplessis continued to state that agriculture was the keystone to Quebec's economy. 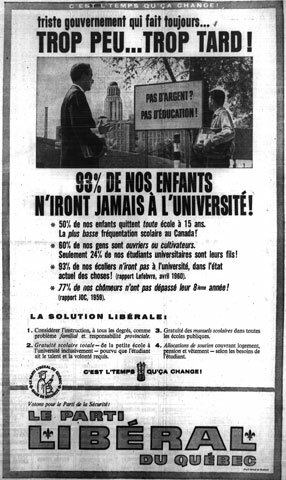 The program that Jean Lesage, Liberal Party leader, and his tiger team proposed to electors was bold and forward-thinking. Among other things, he advocated the creation of a Ministry of Cultural Affairs, free education from elementary school to university, the establishment of an Economic Advisory Council and different measures to ensure the wellbeing of the population. 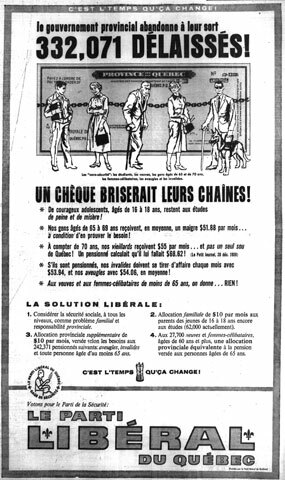 The Union nationale and its new leader, Antonio Barrette, on the other hand, asked electors to allow his party to proceed with its sound management of Quebec, the best road to progress as indicated by the party's slogan, "To the pinnacle with Barette and the Union nationale" (translation). 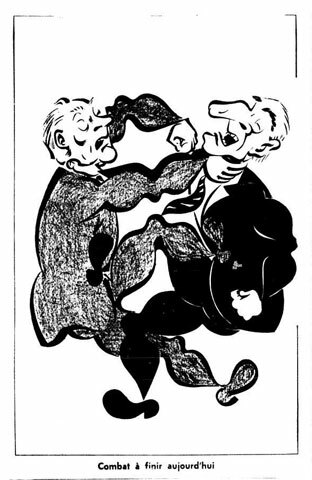 After a bitter fight, the Liberal Party won the elections on June 22, 1960. The victory was ambivalent, however, since 46.6% of the electorate voted for the Union nationale versus 51.3% for the Liberal Party. The Liberals held 51 seats in the Legislative Assembly and the Union nationale, 36. But in the words of Jean Lesage, what mattered most was that the Liberal Party had beaten the infernal Union nationale machine. 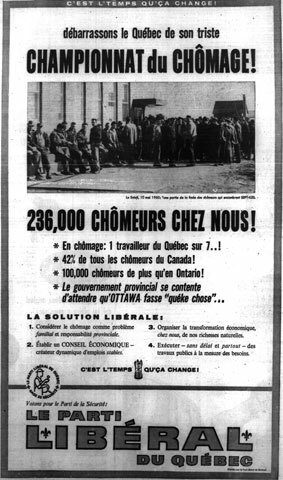 The victory marked a turning page in the history of Quebec.